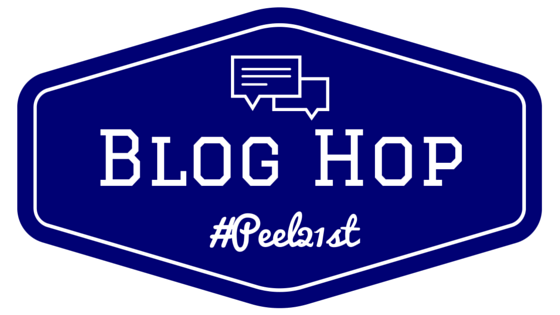 "This is the first #Peel21st Blog Hop of the year. 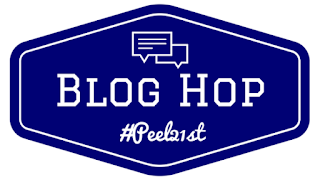 After a bit of an irregular start to the school year, a few of us thought sharing our best moments thus far would be a great way to reconnect. Take a look at the blogs posted at the bottom, and hop from one to another to see some other best moments." I was going to write about my best moment so far this year, and although this is true, it also has been my best moment since beginning in my role as a resource teacher. Since 'leaving' the classroom over a year ago, I've had few opportunities to teach in the classroom with students. This year however has been much different. I've been able to co-teach several lessons with some teachers at a few of the schools I support. It's provided me the opportunity to engage with kids again, and placed me back in one of my favourite places in the world - the classroom. I don't like to get 'corny' or whatever you want to call it, but I've really come to realize how much I love the classroom; and how much I've missed it. It's only when you step outside of that for an extended period of time, do you understand what you have left. These opportunities have also provided great opportunities to learn alongside other teachers, and observe their practices as well. You begin to see strategies, dynamics, techniques, etc. that you can only learn by collaborating together. The interplay between two teachers in a classroom is also so rewarding, and really makes me wish that was more common place (at the secondary level at least). Students have also been awesome in allowing a stranger, such as myself, come into their community and work with them in learning various technology tools. They have really shown how much they want to learn various tools to support their learning, and crave the opportunity to explore these tools. There was a moment in one of the classes where we were basically holding a 'matchmaker' event - students throwing out ideas they want to do to complete projects & products for their courses, and I was throwing back ideas of tools they could use to complete such tasks. It was awesome to see their eyes light up, and brains explode somewhat, when they looked at the app/tool and what it could do; and made me realize that students crave creative expression, and are always looking for new ways to convey this. They also were able to show me tools & apps that I haven't heard of before, and put themselves in the role of the teacher to do so. That's not so easy to do, but they have a certain knack for it when it comes to showing technology, and I was wise to listen. We never really get to step outside our own selves, and look back to see what we have done; or how we are progressing in our own practice. But this year has been just that, and I've really been able to reflect - I love being in the classroom; I love working alongside talented individuals; and most of all, I love learning alongside students. I love your part about allowing the students to take on the role of the teacher and show you an app or 2. I think it is when we open up to students and show that we don't know it all, that they really start to respect what we have to offer! I think this is one of the best parts of my week is when I get an idea for an app, site, or extension from my students and then rush home to try it out and share it with my own children. I like to think of it as sort of a "Pay It Forward" type of process. I love these moments with students when you get to share new tech with them, and then have them share new tech with you. It's amazing how much we as teachers can learn from our students. Love your matchmaker idea! Might have to try that one! I was going to comment on that as well Mel. The kids really do provide an energy and environment that is difficult to match. I think it's awesome you get the opportunity to collaborate with different teachers in different buildings. I often wonder how much we could all gain from just be given a few days to watch each other in action.